Captivate 2017| Level 1 teaches you how to create interactive & online training presentations, simulations, and quizzes. Learn how to create HTML5 responsive projects. 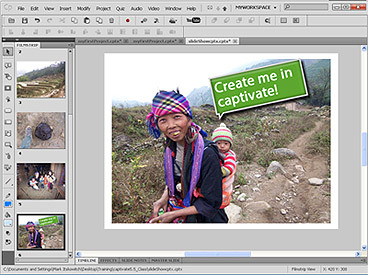 Import images, sound, & videos, and create interactivity using buttons. 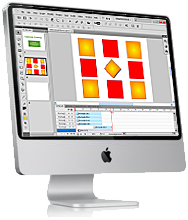 Build software demonstrations, interactive simulations, animation & more! 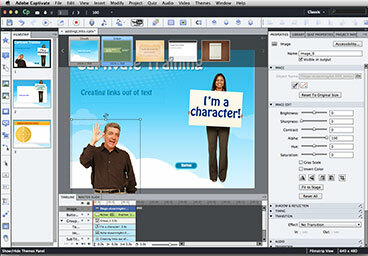 Learn how to create interactive presentations, image slideshows, and training simulations! 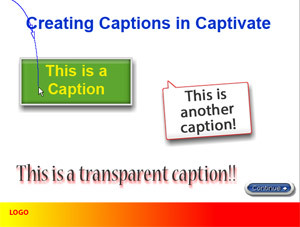 Learn how to add captions, rollover captions, change caption types, format text, rotate and add drop shadows! 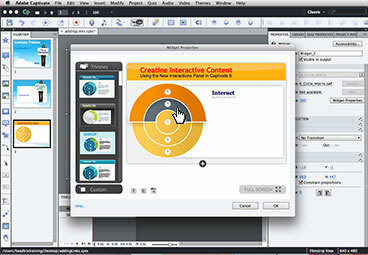 Learn how to create interactive learning with the new interactions panel to organize and enhance your content! Export to HTML5! Use professionally designed themes to instantly enhance your projects. Add characters to help get your message across. 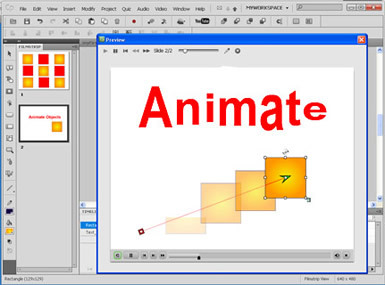 Learn how to add animation presets or create your own. Learn how to create question pools, random questions, give feedback & assess the training. Adobe Captivate | Level 1 is a course for beginning Captivate users who want to create software demonstrations, eLearning, presentations, quiz assessment and interactivity.Captivate is a great tool for creating Computer Based Training. What size should my projects be? Editing Captions - apply to all?